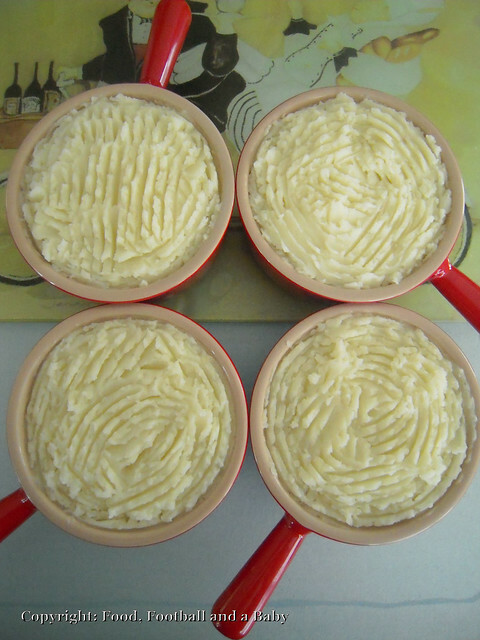 A lovely creamy fish pie is the perfect winter fare. Succulent pieces of lightly cooked moist fish, the smokiness of the peppered mackerel, the bite of the prawns, soft creaminess of the mashed potato, all add up to a delicious mouthful of perfect, warm and comforting food. For me, this is what food is all about. I made this pie yesterday and we all sat around the wood stove in the basement, listening to music and eating like it was going out of fashion. I served the pie with a simple side of steamed asparagus with butter, and you can serve it just on its own or with any vegetables you have handy. I know this will seem like a long and messy recipe, but trust me, once you've made and tasted this pie, it will be your favourite food forever. Bought fish pies will be a distant memory, and you will laugh with disdain when you pass them in the frozen aisle of the supermarket! 1. Boil and mash potatoes with butter and milk till slightly stiff, but still creamy. Keep aside to cool. 2. Meanwhile, put the white fish into a pot. Add the bay leaves, nutmeg, thyme, oregano, peppercorns or pepper and onion to the pot and pour in milk until it just covers the fish. Poach on a gentle heat until fish is just cooked. Gently lift only the fish out. Leave the remaining ingredients in the milk for as long as possible (it infuses in the flavours) and add the prawns (leave out this step if using cooked prawns). 3. Once the prawns are cooked, strain the milk into a pan, pick out prawns and discard the rest of the herbs. Reserve the strained milk for the sauce. 4. In another pan, melt the butter and add the corn flour. Sauté on a low flame for 3 minutes or so and then add the milk, whisking until you have a smooth, thick sauce. Taste and season, then take off the heat. Stir in chopped parsley. 5. Fry the mushrooms in a little butter until tender and keep aside. 6. To assemble the pie, flake the white and smoked fish into a bowl. Add the prawns, mushrooms and chopped eggs. Pour over the sauce and mix gently. 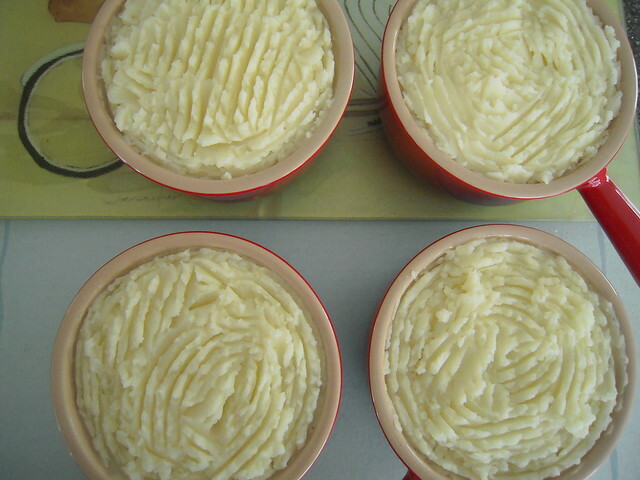 Pop the mixture into a baking dish and top with mashed potato, roughing up the potato on top (You can freeze the pie at this stage, but if freezing, make sure that the filling, sauce and potatoes are cold before assembling) Or you could do as I did, and assemble into individual soup bowls or ramekins. 7. Bake until the top is lightly browned and the fish mixture underneath is bubbling. 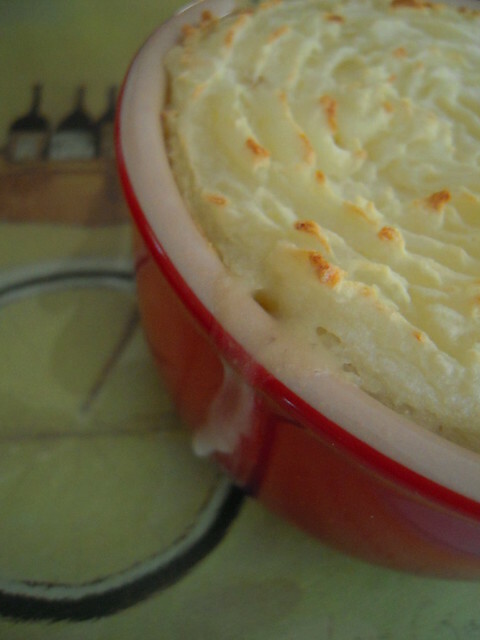 I made this dish for a dinner party and it was the best fish pie ever. My guests took the recipe home, always the best compliment. This is a great dish for when you need something warm and comforting.